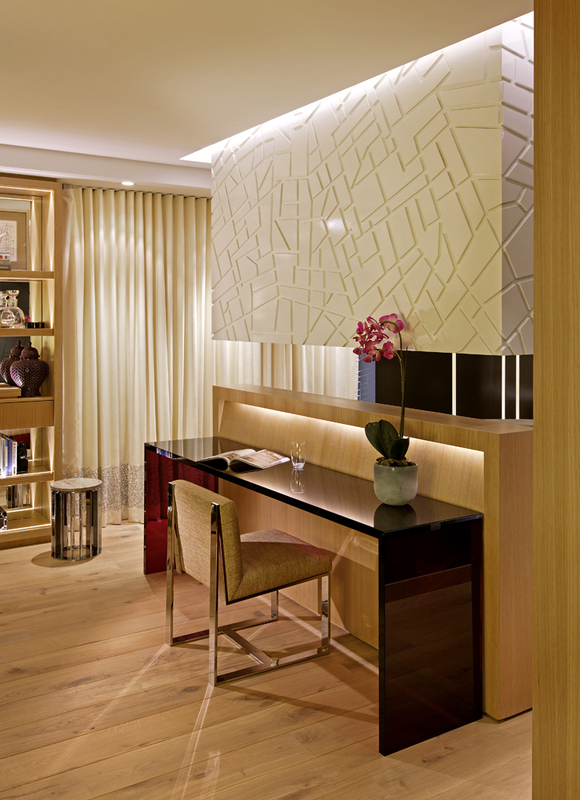 As part of an installation in a collaborative hospitality presentation centre, we were invited to participate in creating a hotel model suite and given carte blanche. 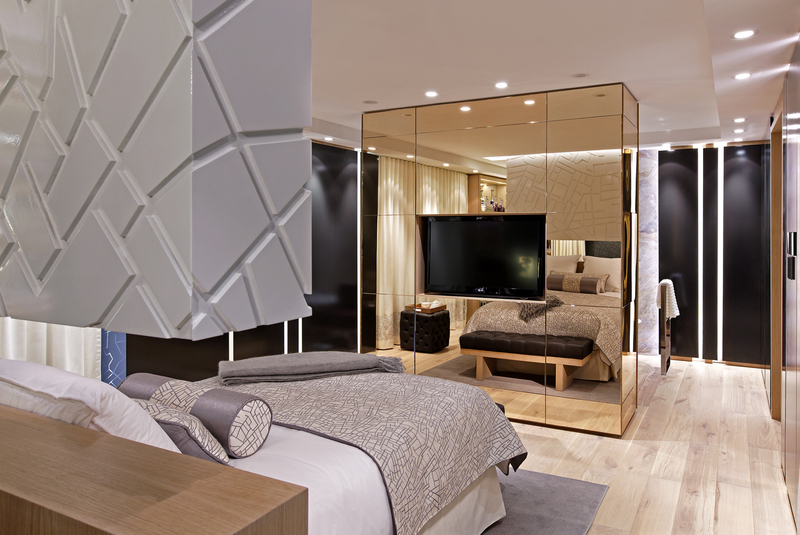 We envisioned the Inspire Suite to be a luxury five-star residential experience, with many custom pieces. 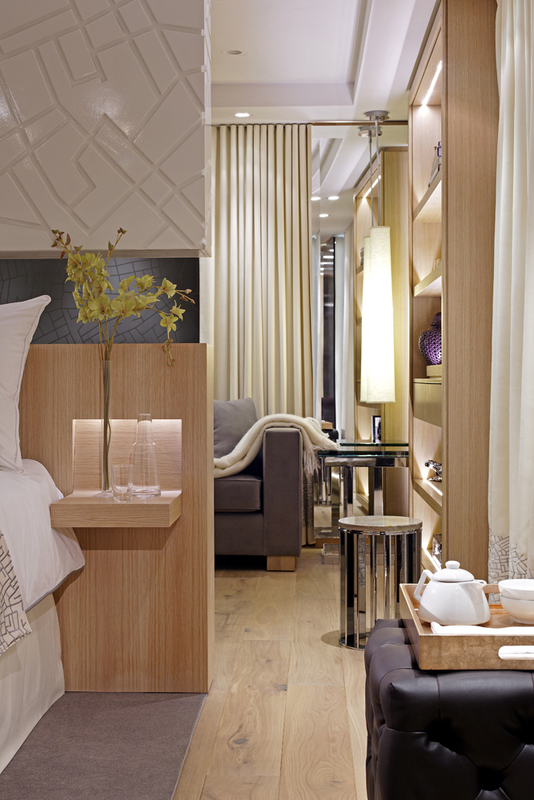 Floating partitions divide the suite into four distinct zones: entertainment, sleep, bathing and dressing. 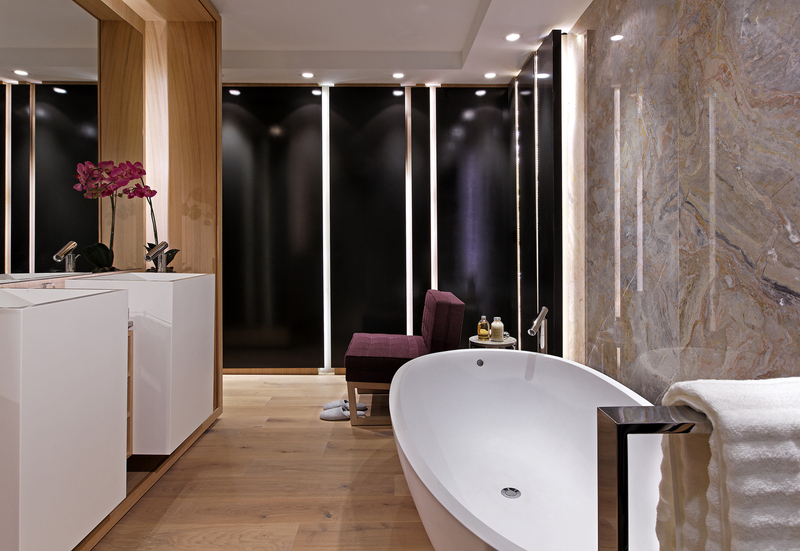 A sophisticated palette of warm charcoal grey,white oak and gold set the tone, with accents in deep plum and silver. Elegant details such as the millwork bedside table and a ‘city map’ motif recalled in linens, partitions and wall covering, give the space a refined but familiar homelike sense.